Well I do not know as there are no in game guilds yet, and many seems to be member of several guilds. I would think that just an LM Discord channel would be good as I think that further along the road we will have at least 2-3 different LM guilds (or LM influenced maybe) as people have different ideas on what they want in a guild. I totally agree with you here! If enough big guilds decide to do X (that is what happened in AA) it really does not matter what NQ's intentions where, if something is doable you can be sure people will do it. But then again I hope that the pvp playtest is a no holds barred kind of event. Maybe rewards to the best griefers (and I am serious here) because it will happen live. There are some vital issues for many here. 1. You as a player and your creations are the content & loot for other players in the current system (can of course be changed). 2. The number of successful self policing PvP games are very small. 3. 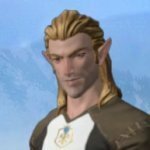 Remember ArcheAge? Wonderful game in testing, live not so much (the big guilds in AA did not really do nice things and could not be stopped). I sincerely hopes that DU becomes successful and I hope the PvP play test will be a real one with lots of griefing, that way the developers have a chance to solve any problems. In the end when you had programmable mobs and could do your own adventures some truly amazing things where done. But most peeps had left then. Old Landmarkian here, both me and MaryCath are looking at Dual, it seems to have huge opportunities to become something LM never managed to be. It is of course also possible for it to be another "Mongol Horde" Simulator. Have not bought access yet but we are looking at it.